Another opportunity for this group of Everton players and their manager to provide a spirited performance. This time against a weakened Liverpool side. (Ratings are made on a scale of 1-10 with 1 being woeful, 5 being average and 10 being outstanding. Any substitutions brought on after 75 minutes will receive no rating [NR]). Manager rating – 1 – Sam Allardyce’s time at Everton is up. His comments in Friday afternoon’s press conference smacked of a manager that knows he won’t be keeping his job, so has begun to leave some parting words for the fans to react to. You’d expect some words of encouragement prior to a derby from your manager both as a player and a fan, but Allardyce has turned to petty, arrogant slurs at the press and indirectly at the fans. Once more, he set the team up with 3 defending midfielder’s, a formation that has only gained Everton a total of 1 point in the 4 games it’s been implemented by Allardyce this season. 3 more likely for like substitutions provides his level of ambition as man and a manager and bring the youngster Beningime on after little game time previously over Niasse was the final nail. Jordan Pickford – 6 – I’ve heard a few fans say that the goalkeeper was man of the match but I just don’t see it. Pickford made a terrific save in the first half to keep it 0-0 and Ings hit the ball straight at him when 1-on-1. The accuracy and weight on Pickford’s distribution from the floor needs work and the fancy kick isn’t always as effective as finding something more accurate. Seamus Coleman – 7 – A consistent figure of everything that is good left in this current team. Found it tough to get forward in the first half with a woeful Yannick Bolasie not being aware of his surroundings, however, took the game to them in the second half and motivated the fans to continue their support at regular intervals. Defensively sound as always. Michael Keane – 6 – Thoroughly impressed with Keane since Jagielka has partnered him. There most certainly is a talented defender in there and the captain has allowed him to stage some of his abilities. It’s not all the doing of his centre back partner though, as Keane provided some real grit at moments today and has begun to command the players around him. dealt well with a hard working Solanke and the movement in the channels from Mane and Ings who rotated throughout. Phil Jagielka – 8 – Another captains knock from a man that never seems to show his age. 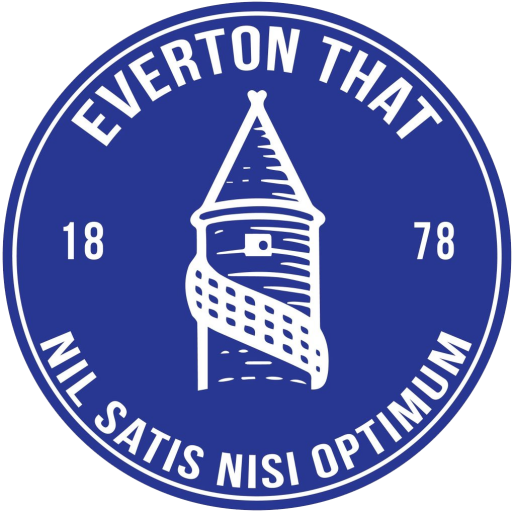 A figure of calmness and composure again in the most temperamental of games allowed Everton to constantly find their shape after numerous Liverpool attacks. Positioning was once more on point and his tackling ability prevented many clear cut opportunities for the opposition. Leighton Baines – 6 – Similar to Coleman, Baines struggled in the first half to make any kind of difference. The second half provided better opportunities for Everton and with it came chances for Baines to get forward. Occasionally sloppy in possession but his crosses still hold a major threat going forward for us. Morgan Schniederlin – 6 – We’ve waited until this point in the season to see a glimpse of the player we watched last season. Morgan gave more work rate the the cause today and did allow himself to get stuck in to tackles. He looks a lot more comfortable in a midfield with more players in support and he turned positive with his passing today and was a lot accurate in that department. Wayne Rooney – 4 – Not a great deal of improvement from Rooney after his showing in the Manchester City game, however the pressure was off him with the 2 other defensive midfielder’s around him. Pretty poor on the ball and his distribution has hit a wall. I don’t disagree with him being subbed but I’m made up to see his reaction towards Allardyce because it shows he cares and the players aren’t fully in support of the managers decision making either. Tom Davies – 6 – Was once again the legs of midfield and summed up how poor of a decision it was to drop him for the City game. Can improve with his passing, but after making the most interceptions in our team, along with tackles you can let that slide with others capable of passing around him. Yannick Bolasie – 3 – I don’t think I’ve been so uncomfortable watching a player since Cuco Martina versus every team he played against! Constantly unaware of his defensive responsibilities and left Baines high and dry on occasions, even his miraculous shot wouldn’t have changed many peoples opinions of his performance until that point and there after. As we mentioned in previous ratings, he needs to strip back his game and really focus on the basics of getting forward, completing a cross and then defending and supporting his full back. A highlights reel is not the kind of player we need in a position that is so detrimental to out final result. Theo Walcott – 6 – A quiet game considering the opportunity Walcott had against a centre back playing at left back. Should have take the team forward more but like Tosun, service he could work with was few and far between. Theo did have a lot more chances in the second and half and became a real threat when Coleman got a foot hold of the game to provide the overlapping support. Cenk Tosun – 8 – The work Tosun does off the ball is magnificent, you can tell he has come from a club that require a hard work ethic and that fits perfectly with everything Everton has been about. It took us a while to work out how best to provide service to Lukaku and this could happen with Cenk, however, he looks very comfortable with the ball at his feet and I have a lot of confidence that he is capable of 20+ goals a season with the right guidance and manager to boot. Had one huge opportunity with the header towards the end of the game, somewhat hampered by the defender dragging him down. Dominic Calvert-Lewin – 7 – Very impressed with DCL’s attitude when he came on and the impact he created was timely as they were starting to look like scoring. Gave us that second wing to attack down and it’s something we lacked with Bolasie faltering. Considering he’s a centre forward he performed exceptionally from his wing. If he’d of score that glaring chance right at the end he’d have received a 10 here and would have gone down in history. That is the last aspect of his game he needs to brush up on along with his consistency. Idrissa Gueye – 6 – Unfortunately he picked up a late knock in training on Friday else he would have started. Gueye brought that extra bit of legs we needed to kill their counter attacks but also gave us the ability to pass the ball accurately forward from a defensive position. A massive loss in the past 2 games, but can never be unhappy with him returning. Beni Beningime – 4 – That rating is through no fault of his own as a player at Beni’s age should not be expected or asked to come into a derby with 15 minutes to go having had no first team football since the first half of the season. A dumb and unadventurous decision again from Allardyce, with Oumar Niasse sitting on the bench. As regards to Beningime’s performance itself, there wasn’t a great deal to note other than he was way off the pace and he made one ropey pass wide that went straight out of play when we were ready to score towards the end.